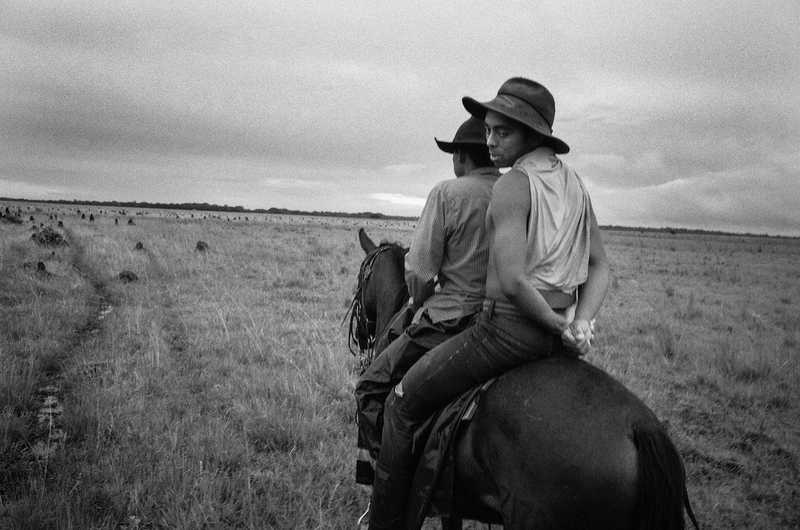 “Llano” is an epic 10-year journey along the paths of the Llaneros, a people who live and travel along the savannas of the Orinoco basin in Colombia and Venezuela. The photo is part of the Latin American Foto Festival at the Bronx Documentary Center through July 22. An exhibit in Melrose through July 22 is bringing even more Latin flavor to the neighborhood. 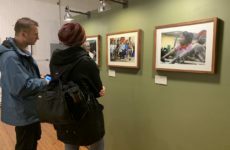 The works of photographers from Peru, Colombia, Mexico, Ecuador, Puerto Rico, Guatemala, and Dominican Republic are on display at the Bronx Documentary Center’s Latin American Foto Festival and other parts of area. The show opened on July 12. Despite the enormity and variety of the city’s Latin American population, there has never been a Latin American Foto Festival like this one before, said the Bronx Documentary Center’s co-founder Michael Kamber, who curated the event. “The community has come to us constantly, and said, ‘We want to see exhibitions about Latin America, about the countries where we come from,’” said Kamber. In response, Melrose churches, schools, and sidewalks are playing the role of an extended neighborhood gallery, showcasing the work of some of that continent’s most talented documentary photographers. Photos by five Mexican photographers documenting the ongoing crisis for journalist and the climate of violence in which they work, are on display in the Documentary Center’s main gallery. “It’s important that people have that connection with their country, even if it’s a not a pleasant connection, because you get connected with your country and you eventually get involved either by voting out of your country or communicating with your family,” he said of his photo series, Blackness, which he hopes will engage the Melrose’s growing Mexican community. 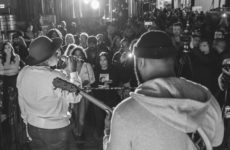 The Bronx Documentary Center also organized other activities to help spread the word about the artists and the neighborhood. Kamber introduced Dominican photographer Tatiana Fernández Geara while leading a walking tour. At the Immaculate Conception Church on E. 150 Street, Fernández Geara showed photos from personal projects and assignments from the Dominican Republic over a ten-year span. And Llano, a series of photos about llaneros, or Colombian cowboys, by documentary photographer Juanita Escobar, is helping beautify a community garden across from the Documentary Center. In Colombia, Escobar added, the public knows little about llanero culture. Through her work, she wants to let everyone know about this hidden world. Escobar is currently working on another project, chronicling the lives of women who live along the border between Venezuela and Colombia. The festival runs through July 22. 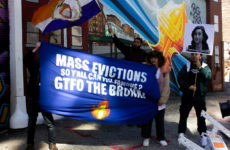 The Bronx Documentary Center is open from Wednesday to Friday, 4 to 8 p.m., and Saturday and Sunday from 1 to 5 p.m. The Center will hold a Block Party on July 21 at 2 p.m. in conjunction with the Latin American Foto Festival, to include workshops, family-friendly art activities, music, savory bites, exhibition tours and more. It will be free and open to all.